What impact is the Arab Spring having on the regions’ minorities? As Islamist parties sweep to power across the Arab world, what does the future hold for the region’s non-Muslim minorities? 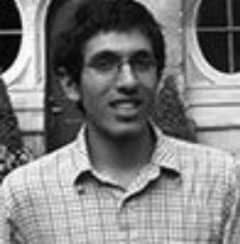 Aymenn Jawad Al-Tamimi is a student at Brasenose College, Oxford University, and is a fellow at the Middle East Forum, where he has worked since January 2012. He joined the Philadelphia-based think-tank as an intern in August 2009. He is a prolific commentator on Middle East politics and his work has appeared in a wide range of publications – from the American Spectator to the Jerusalem Post and the Beirut Daily Star.